We will talk about the IVR announcements that we complain to the customer representative when we connected after a long wait and being announced the number 5 between the people waiting and that we don’t like the on hold musics of it. Telecommunications technologies are developing rapidly. Cloud IVRs, virtual IVRs, IVR systems are among the most popular choices of corporate companies in communicating. The Interactive Voice Response, which is short for IVR, has now been transformed into a technology capable of doing justice to its name.There are two types of IVR. Inbound IVR for incoming calls and Outbound IVR for outgoing calls. When Inbound and Outbound IVR systems are used in an integrated way, a great call service is available. In Outbound, an audio recording is sent to the answering call, and dialing is required according to the setting. For example; “Welcome to the world of … Now is the time to fly to Cuba. 60 thousand miles and taxes included. To get detailed information please press 1, for the customer representative to call you on this number please press 2″. This is an Outbound IVR setup. Customers who dial 1 in this setup are directed directly to the call center. In 2, it is determined that you are waiting for a call and are called later to decide the appointment time. This can be changed entirely on request. The ones who press 1 could be registered. Or the ones who press 2 could be directed to the call center. Or both are registered. Let’s examine a propane delivery service in the Inbound setup; ”What type and size of propane would you like?“ The difference of Inbound from Outbound is that it meets the incoming call, not the outgoing call. Since the number of the customer to order a propane is registered to the system, the system recognizes the number as soon as the customer calls. In a new customer call, a voice recording meets: “: We didn’t find your registration in the system. To register a new one, please press 1”. In this setup, the customer connects to the direct call center and makes the registration. The biggest benefit of the IVR in the ordering example is to eliminate the need for a staff to direct the order in every request. HOW TO VOICE IVR SYSTEMS? Recordings can be added externally to the IVR systems in desired format. Voice-over agencies or the voices you’ll choose from the voice bank will voice the IVR systems. Of course, the selection of a voice-over talent for the institution is very important. Because the choice of suitable voice for your brand or business is extremely important. Apart from the popularity of the voice that greets your customers, elocution and effectiveness are also important factors. The voice recording must be recorded in a studio. Although the sound recording format for the IVR is varied, it is only recorded properly in the voice-over studios. BİberSA Production is among the competent voice-over agencies such as CallCenter, Autodialer, IVR, VoIP. For example, you have a text for IVR. You send your script to the agency via mail or via Whatsapp. For the IVR script you have sent, you will be sent voice-over talents suitable for your voice profile. You can receive the IVR voice-over service on the same day by paying for the reputation price of the voice-over talent. HOW DO WE DETERMINE THE PRICES? Voice-overs in IVR are served in modules such as directing the service, credit card collecting and service conditions etc. For the service requested from the voice-over agency, the sound of the voices for your business (demos previously performed) with the price is sent to you as an offer. Price only includes the reputation price of the voice-over talent. Reputation price includes the cost of the recording and other charges. 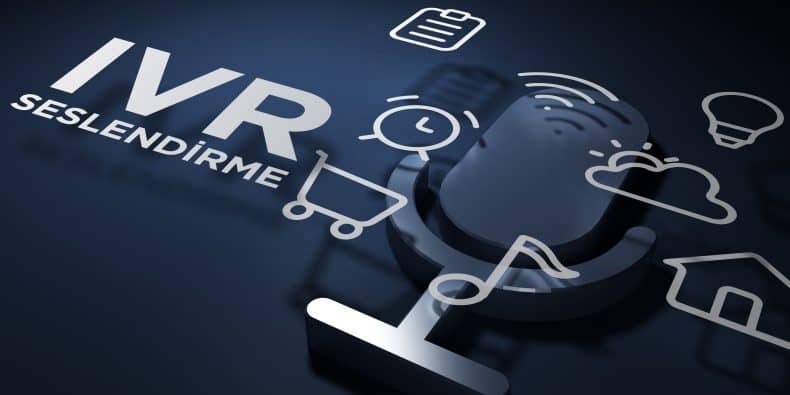 The voice-over agency provides you with a letter of consent that includes the period of use of the voice and the delivery of the necessary copyrights.For some customers, the popularity of IVR voice is not very important. Because of this, the voice over agencies offer the suitable voices from the voice bank who works without a reputation price and are not as much popular with the lowest price. After the purchased voice-over service, there are additional costs for additional announcements. This is the story of the Interactive Voice Response services which we call IVR. As mentioned above, for your company’s profile, please make sure that you receive voice-over services from professionals and your announcements are different and unique than the other companies. Peace be with you.